Purchase 2 - $25 vouchers for half the price! 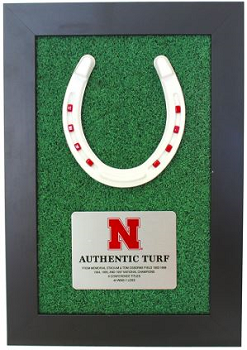 Find the perfect gift for the Husker fans on your holiday list - including gifts made from the winning-est turf in college football history! 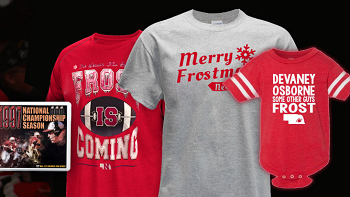 Nebraska Cornhuskers Apparel Shop and Huskers Merchandise for University of Nebraska Sports Fans Best of Big Red has the largest selection of Nebraska Cornhuskers Merchandise for Men, Women and Kids Husker Fans. 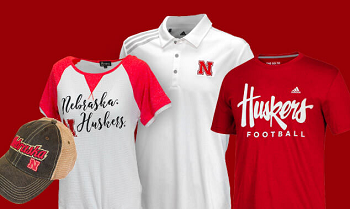 Shop our inventory of over 5,000 Husker products including Officially Licensed Nebraska Cornhusker Apparel, Scott Frost Husker Autographed Memorabilia, Nebraska Football Adidas Sideline Apparel, and the largest collection of Nebraska Cornhuskers DVD’s. Whether shopping for Nebraska Cornhuskers Clothing, Husker Tailgating Supplies or Husker Decor for your home or office, Best of Big Red has the largest selection of Huskers Fan Gear available! Can be used at either location.